Lida Chatzi, the senior author and professor of preventive medicine at USC, says asthma and obesity pack a one-two punch against children’s health, which raises concern about a public health crisis due to their prevalence. For two decades, scientists have documented the parallel epidemics of childhood asthma and obesity, with focus on how obesity is a risk factor for asthma. In adults, obesity is an important risk factor for new asthma, especially among women, but the relationships appear to differ in children. Few studies look at the problem the other way around to understand how asthma contributes to obesity in kids, which prompted scientists to undertake this research. Drawing upon big data on children’s health collected across Europe, the scientists investigated 21,130 children born between 1990 and 2008 across nine countries, including Denmark, France, Germany, Greece, Italy, the Netherlands, Spain, Sweden and the United Kingdom. The children were diagnosed by physicians with asthma at 3 to 4 years old and the scientists followed toddlers into childhood up to 8 years of age. Their goal was to focus on health risks of early-onset asthma. On average, the scientists found that children diagnosed with asthma had a 66 percent higher risk of becoming obese than those without an asthma diagnosis. For children with persistent wheezing symptoms, their risk of developing obesity was 50 percent greater compared to children without such symptoms. Children with active asthma were nearly twice as likely to develop obesity than those without asthma and wheezing, according to the study. The findings are consistent with previous, but smaller, longitudinal studies conducted in the United States that observed asthma increased the risk of obesity. The causal direction between asthma and obesity is not well understood. 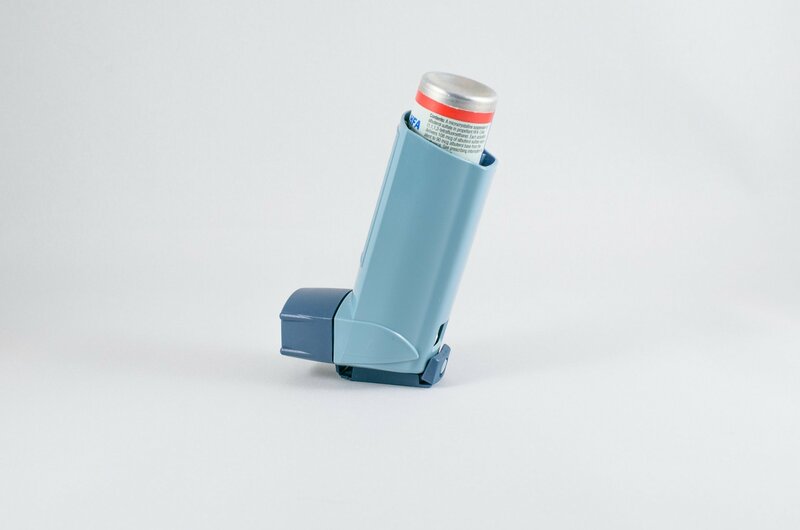 Asthma is regarded as a barrier to children’s physical activity that might lead to accumulation of fat in the body, while higher doses of inhaled corticosteroids had been hypothesized to increase risk of obesity in children with asthma. According to the study, children with asthma who used medication had the strongest risk of developing obesity. “Asthma may contribute to the obesity epidemic. We urgently need to know if prevention and adequate treatment of asthma can reduce the trajectory toward obesity,” said Frank Gilliland, professor of preventive medicine at the Keck School of Medicine, who participated in the study. The CDC reports the number of people with asthma in the United States is growing every year. About one in 12 Americans is afflicted with the illness. In smoggy places, like California’s San Joaquin Valley, about 1 in 6 children suffer from asthma, the highest rate in the country. In Europe, 1 in 8 people die due to lung diseases—or about one person per minute. It includes well-known diseases like asthma and lung cancer and other less-known diseases like chronic obstructive pulmonary disease, which is now the third most common cause of death, according to the European Respiratory Society.